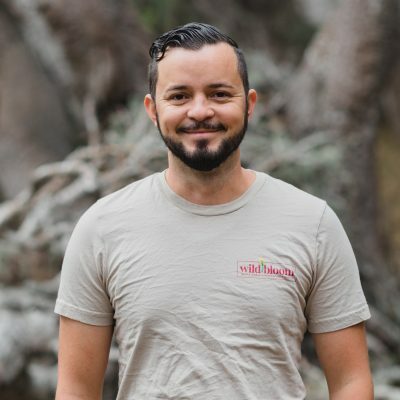 Luke and Melody Huskey founded Wild Bloom to set a new standard for sustainable landscaping services in California. Luke’s background is in sustainable landscape construction and organic agriculture, as well as non-profit environmental work. 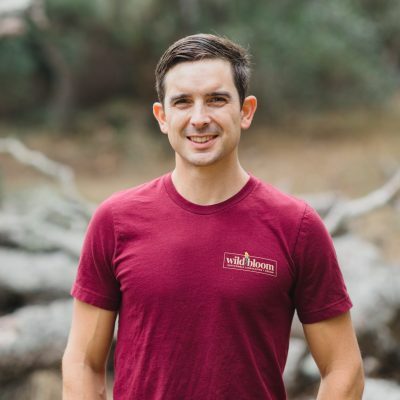 Dedicated to enhancing the natural beauty of communities across California, Luke was recognized with a Top 20 Under 40 award for his work with Wild Bloom. Melody knows landscape design and horticulture. In her many years of crafting custom designs for happy clients, she’s developed a signature style that blends form and function with captivating color. Melody takes pride in delivering sustainable landscaping designs that are both beautiful and environmentally friendly. Keith became a landscape contractor in 1983 and started R.K. Allen Landscape Construction. 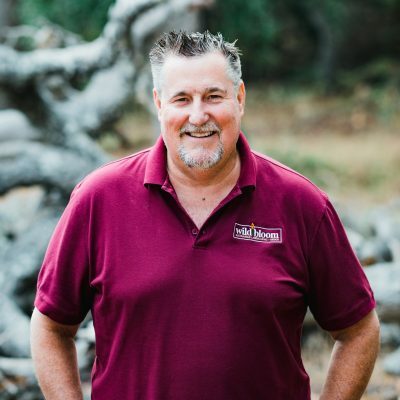 During the 30 years his business was in operation, Keith worked on high-end residential landscapes, large scale commercial and public works projects, and new subdivision developments. R.K. Allen Landscape Construction had offices throughout the state as well as a 10 acre plant nursery in San Bernardino. Keith brings his vast experience working in the landscape industry to Wild Bloom, where he manages the operations and expansion of the company. 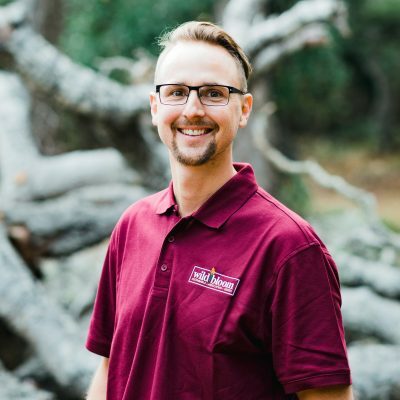 After graduating from Cal Poly with a degree in Landscape Architecture, Greg has gained many years of hands on experience designing residential, commercial, and public spaces. He has worked for both large and small architecture firms, as well as design/build firms before joining Wild Bloom as the Design Manager. 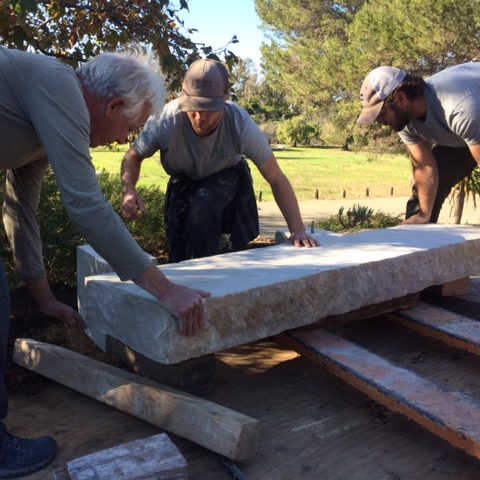 Greg enjoys working with clients to design artistic outdoor spaces that will enhance their lives. Greg's knowledge of plant communities, hardscape features, and sustainable design principles makes him a natural fit for Wild Bloom. 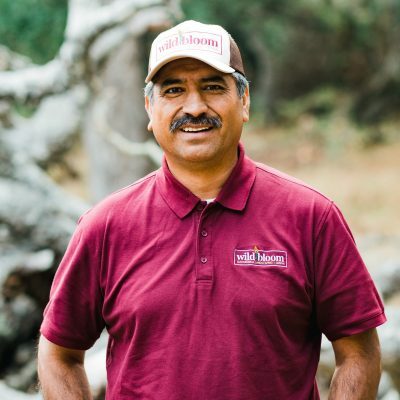 Abraham came to Wild Bloom with decades of experience working in the landscape industry. He has successfully completed countless projects ranging from custom residential yards to multi-million dollar public works jobs. Abraham is a natural leader who supervises his crews to ensure quality work and timely service. Abraham's dedication to excellence and attention to detail is what sets him apart and makes him a true craftsman. Adrian has many years of experience providing detailed maintenance for everything from small gardens and large landscapes. As a highly skilled leader of the maintenance team, Adrian brings with him a dedication to getting the job done right. His communication, customer service, and accountability make him an excellent fit for Wild Bloom. Wild Bloom is the first landscaping company to institute a voluntary carbon tax on all of its operations. The carbon tax is calculated monthly at a rate of $25 per ton of CO2 emitted during our operations. This money is taken directly off our profits, which means the cost is not passed on to our customers. Each year, the funds generated from the carbon tax are donated to a local environmental organization or are used to provide environmentally friendly landscaping to a school, public space, or non-profit organization. Founded by Luke and Melody, 1K4SLO is a collection of businesses, action takers, and leaders in and around San Luis Obispo County that have pledged to contribute to our community by donating $1,000 per year to a local nonprofit or charity organization. As landscapers, we take a hands-on approach to giving. 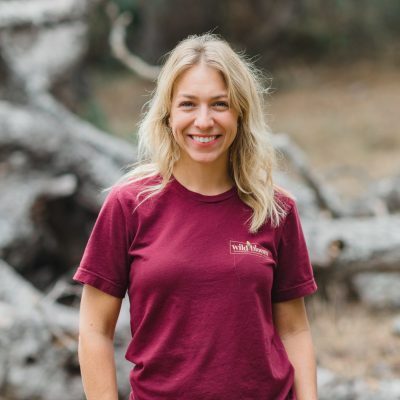 Each season Wild Bloom hosts Volunteer Days in an effort to share our teams’ collective passion, knowledge, and resources with Central Coast and Southern California communities. Together we’ve installed rainwater harvesting systems, cleaned up litter, and completed sustainable projects for local schools. All are welcome to participate. Contact us to learn more. 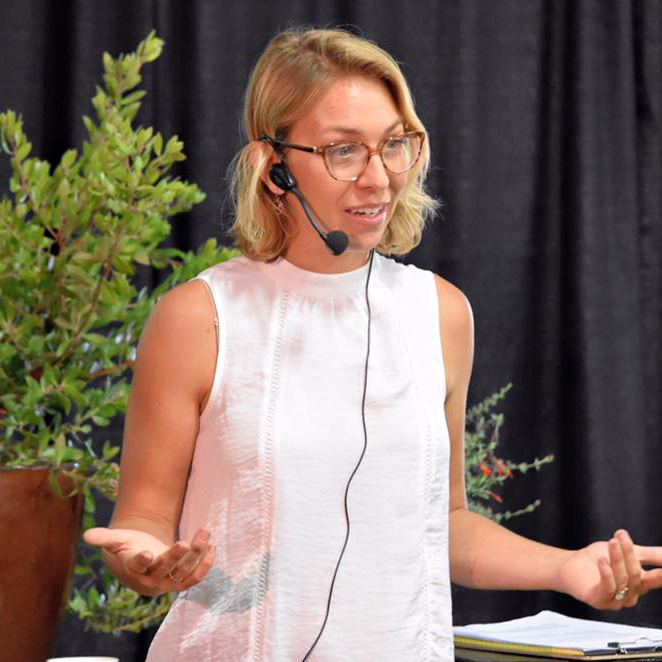 Wild Bloom offers free workshops for homeowners who want to learn more about sustainable landscaping. These events are a fantastic opportunity to protect our local ecosystem from harmful practices by sharing a more environmentally responsible approach to landscape design and construction.